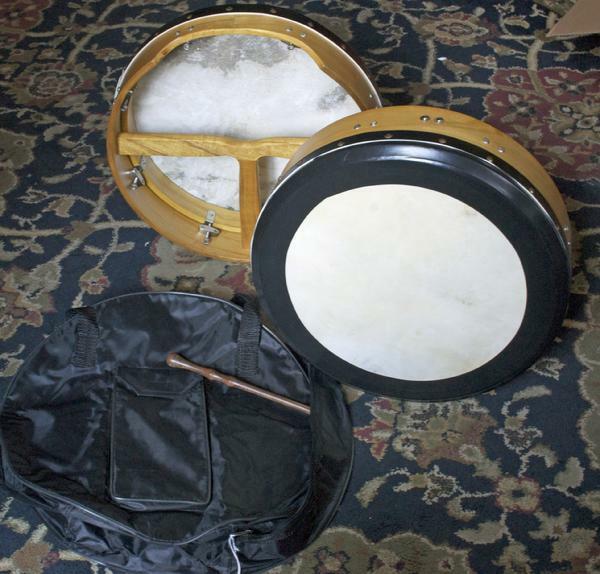 This 14" bodhrán is perfect for the beginning student. It features a taped goat skin head, removable t-bar, a 3 1/2" deep mulberry shell with cut-out, and an interior hex wrench tuning system. Includes a black nylon case, a tipper and tuning wrench.